Doris is an 11-year old girl that ENA rescued from child labor slavery on Tuesday, March 21, 2017 on the Cape Coast of Ghana. The picture above was taken on her first day of school, Wednesday, March 29, 2017, just eight days after her rescue. Doris has never been able to attend school because she has been trapped in slavery for eight years. She began working on and around fishing boats on Lake Volta in Ghana at age three. These fishing boats on Lake Volta where young child slaves are forced to work are very dangerous and often deadly. Children like Doris work from sun-up and deep into the night with inadequate clothing and shoes to shield them from the elements and barely enough food to keep them alive. Doris became a child labor slave when her parents divorced and her mother was left to care for five children. When her mother could no longer care for her, Doris began working for a series of family members. Unfortunately, these relatives were unable to care for her as well and she ended up in domestic servitude with various strangers on the Cape Coast. Doris’ living conditions were deplorable, abuse is highly likely, and she felt hopeless about her future. For eight years, she dreamed of escaping and being able to attend school. When Doris’ case was reported to ENA’s Director of Ending Modern Slavery in Ghana, David Kofi Awusi, he quickly took action to protect this vulnerable girl. Doris was immediately rescued and placed in a loving foster home so she can start receiving the physical and psychological care she deserves. To her delight, her dream of attending school came true. Today, less than two weeks after her rescue, Doris has started school in Winneba, Ghana and is currently enrolled in the first grade. ENA’s End Modern Slavery team has provided all of her school needs, including: her school fees, a uniform, a backpack, school supplies, new shoes and text books. Starting school is the beginning of achieving her dreams. 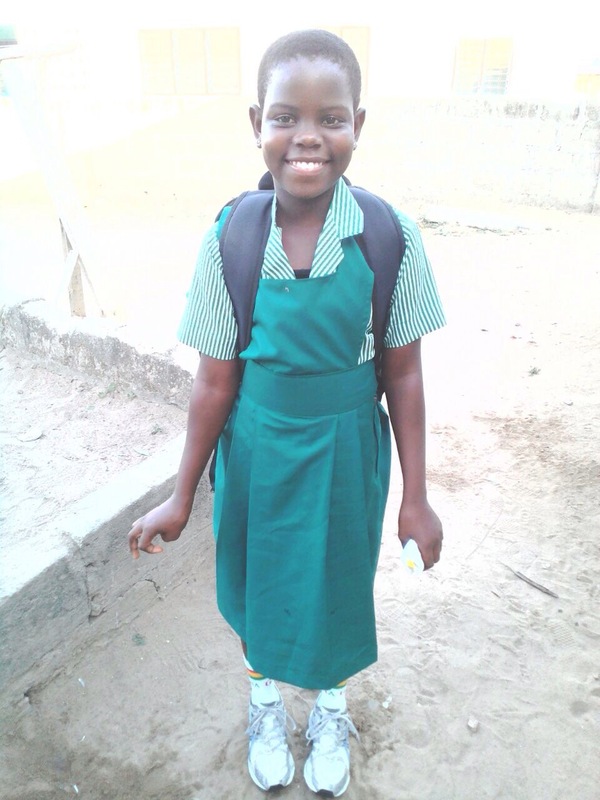 Before leaving for her first day of school, Doris said “God bless Engage Now Africa. They have saved my life and given me hope for the future”. She dreams of becoming a nurse and we are committed to making her dream a reality. If her smile is any indication, we know that she has a very bright future ahead! Doris is one of 13 children ENA has recently rescued from forced labor slavery on Lake Volta in Ghana. Today, there are over 49,000 [ILO, 2013] child labor slaves working on the same lake Doris worked on as a very young child. All of these children are in dire need of care and protection. They all dream of escaping slavery and attending school like Doris. Your kind support to our End Modern Slavery work will ensure that more children like Doris are rescued from slavery and given the chance to fulfill their dreams.